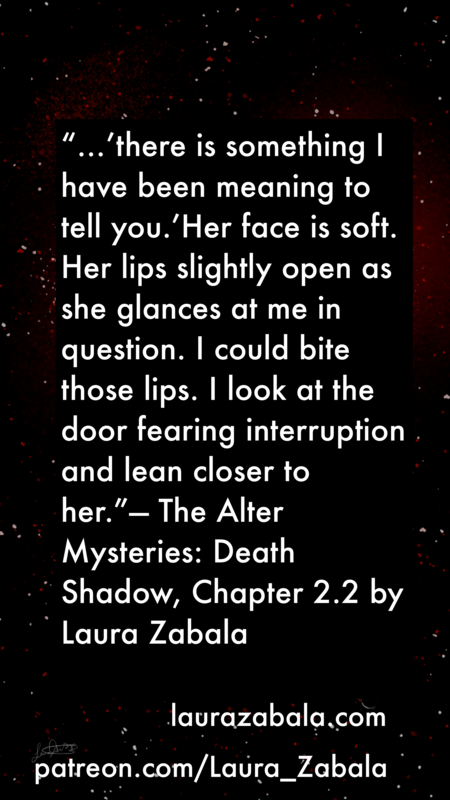 The Alter Mysteries: Death Shadow Chapter 2.3 now free! 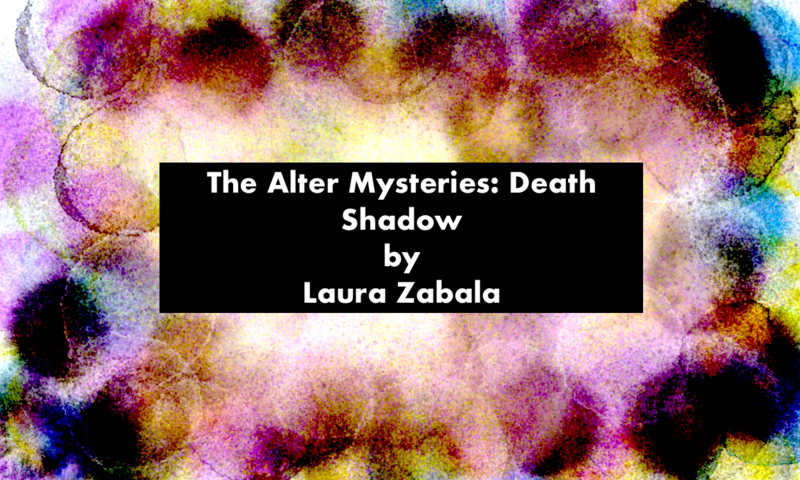 The Alter Mysteries: Death Shadow chapter 2.3 is up for free now. Zara deals with the fallout after her family leaves her birthday celebration. How will Izzy deal with Zara’s engagement? What are Tanaka’s motivations? Read chapter 2.3 to find out. Chapter 2.4 will be posted for early access Wednesday this week. If you like my work, be sure to leave me a tip on my patreon. Thank you for following The Alter Mysteries. 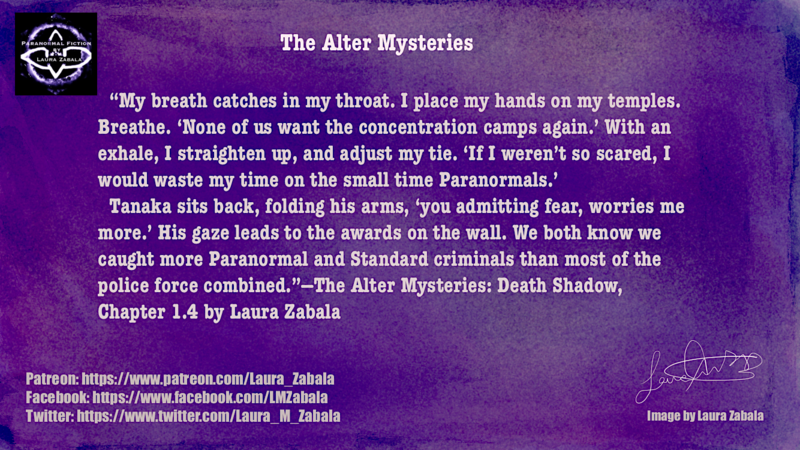 If you like Zara’s mug, “Karma is a stern mistress,” then you can purchase The Alter Mysteries gear here. If you have any questions or comments, feel free to share below.